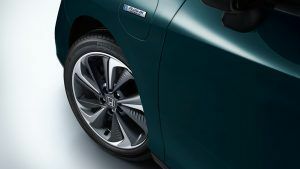 18” Hybrid Aerodynamic aluminum-alloy wheels. Specially designed 18” Hybrid Aerodynamic aluminum-alloy wheels featuring an aerodynamic design to help to optimize performance and brake cooling. The Clarity features a spacious interior with comfortable seating for five adults. At low speeds or when stopped, the Clarity relies only on the electric motor for power. Motive power comes from the electric traction motor. The coupled gasoline engine and generator motor produce electricity, which is sent directly to the traction motor or to the battery pack, depending on the driving situation. 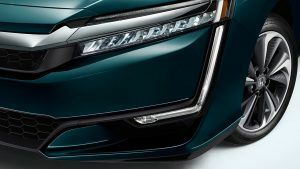 In higher-speed, low-load conditions, only the gasoline engine provides propulsion while the electric motor begins to recharge the High Voltage battery through regenerative braking. With the traffic sign recognition system, your Clarity uses the monocular camera to detect traffic signs before you do, keeping you informed on the Driver Information Interface. Display Audio with Apple CarPlay™ and Android Auto™ lets you access your music library, directions, text messages and more through your compatible mobile device. The road changes quickly, so be ready with the Honda LaneWatch™ blind spot display. As you signal right or press the indicator button at the end, it’s designed to show a live feed on your Display Audio screen of your right blind spot from a camera mounted under your passenger-side mirror. Get going seamlessly with the proxmity key entry system and pushbutton start. Simply grab the door handle to unlock and press the start button to start the engine. Look back without turning back. The Multi-angle rearview camera with dynamic guidelines is engineered to provide a live feed to the Display Audio System screen. The available Honda Satellite-Linked Navigation System with bilingual Voice Recognition, 3D map display and HD Traffic is like having someone onboard who can show you the way. The Energy Flow screen shows the power flow between the high voltage battery and engine, allowing you to monitor what is supplying power to the vehicle. In addition, the current driving range is displayed for Electric Hybrid modes. 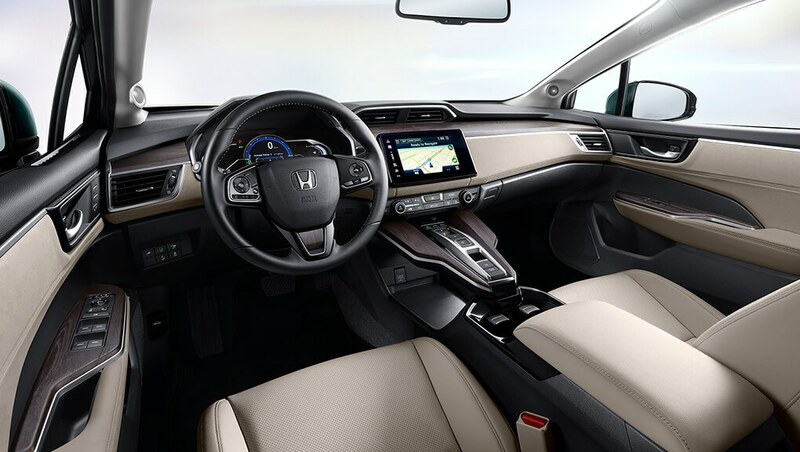 The HondaLink™ app experience is a standard on the Clarity with no subscription required. 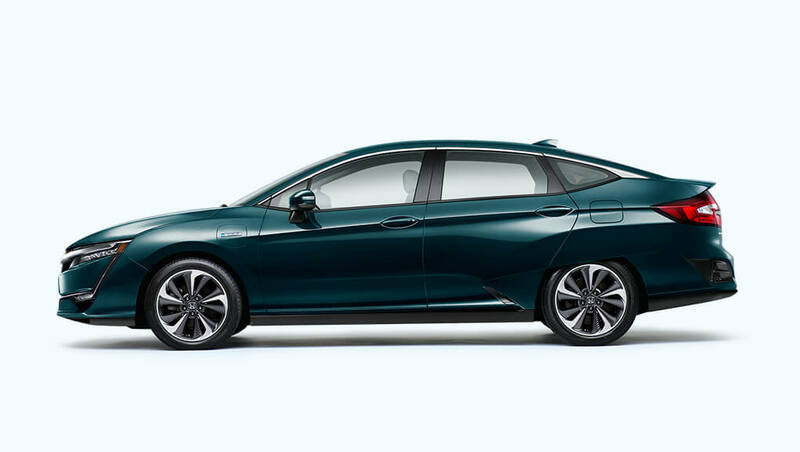 Within the HondaLink™ app, you can set a recurring time each day to start charging your vehicle. You can also remotely stop and start charge at any time. When started remotely via the HondaLink™ app or key FOB. the Clarity can warm up or cool down to a comfortable temperature if the battery level permits. Easily pinpoint your car’s exact location from almost anymore. Use the app to search for nearby charging stations and their status. 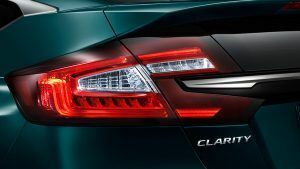 The Clarity has a class leading all electric, zero-emission range (AER) of up to 76 km. 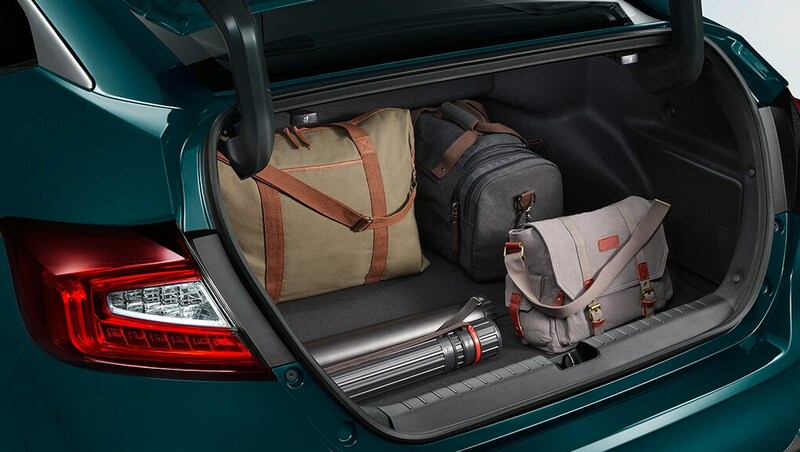 For longer trips, the 1.5-litre Atkinson cycle 4-cylinder gasoline engine is designed to work with the electric motor, enabling a combined electric/gasoline driving range of up to 547 km. The clarity is a hyper-efficient car rated at an impressive blended electric/gasoline fuel consumption of 2.1 Le/100 km, putting it at the top of its class. The combined city/highway fuel consumption for the 1.5 litre Atkinson cycle gasoline engine is rated at an impressive 5.6L/100 km. 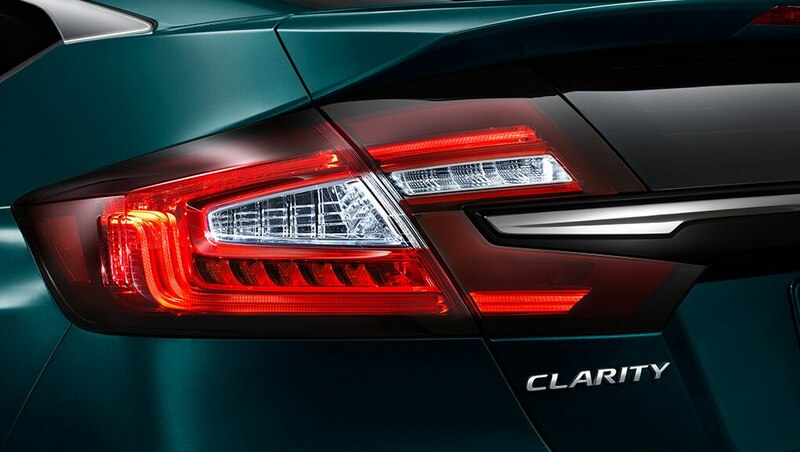 When plugged in at 240 volts, the electric motor in the Clarity can be fully recharged in as little as 2.5 hours. Driving performance is enhanced with a hyper-efficient 1.5-litre Atkinson cycle 4-cylinder engine, along with an electric motor that produces 181-horsepower and 232 Ib. ft of torque for a combined total of 212 hp. Three driving modes - Normal, Econ and Sport allow you to customize your driving experience, increasing efficiency or driving performance. In addition, Hybrid (HV) mode can be selected in conjunction with each mode in order to help maintain the battery’s state of charge. 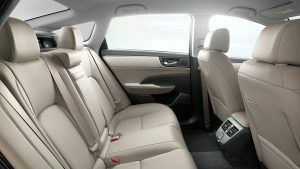 The cabin of the Clarity contains six standard airbags. 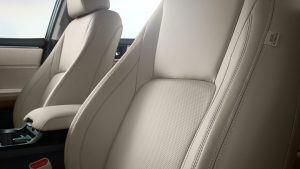 It features an i-SRS front airbag system, as well side curtain airbags designed to deploy if rollover is detected. Plus, it has SmartVent™ side airbags, which are designed to deploy in a manner that mitigates the risk of injury to out-of-position or smaller occupants. The HondaLink™ Assist Automatic Emergency Response System helps you get the help you need when you need it most. If the airbags deploy, your Display Audio System is designed to automatically attempt to put you on a call with an operator who will forward your location to first responders if needed. It works with any compatible Bluetooth® paired phone as long as it has reception, does not require a subscription and gives you added peace of mind while you’re on the road. Innovative pedestrian safety features include an energy absorbing hood and front fenders and deformable wiper pivots.